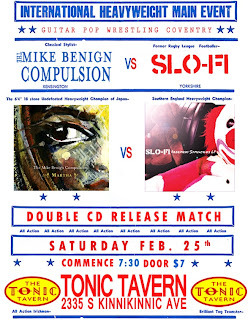 our friends Slo-Fi, who are also releasing their new CD at the 2/25 show. 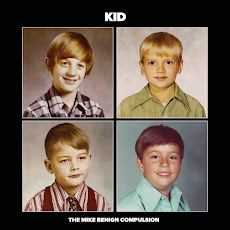 We've set things up to start early and finish early: The Mike Benign Compulsion hits the stage at 8:00 pm, with Slo-Fi following at 9:30. Wednesday, February 22nd, 2 pm: The Melissa Show on WMSE, 91.7 - The Compulsion will play songs from the new album live in the studio. Streaming is available at the MSE website. Friday, February 24th, 4 pm: 414 Music on 88nine Radio Milwaukee - Mike Benign and Joe Vent from (TMBC) and Slo-Fi's Steve Ziel and Al Hildenbrand will be trading songs and chatting with the venerable Jordan Lee during Friday drive time. Stream the show over the web here. It's good to rock. Hopefully you can do it with us on Saturday, 2.25 at Tonic.